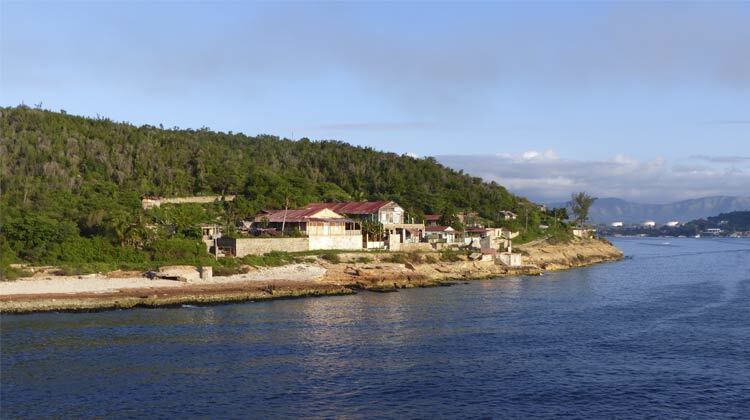 While at port in Santiago de Cuba, be sure to take the El Cobre Cuba Cruise Excursion. Join us as we show you all the beauty and history seen on this tour. 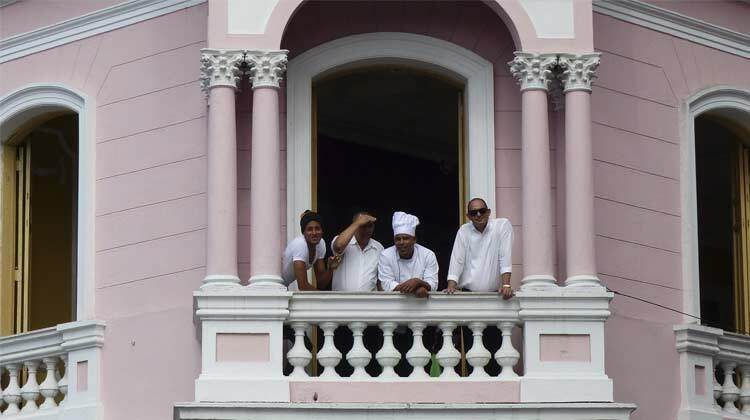 First get up as early as you can the day your ship is set to arrive in Santiago de Cuba. 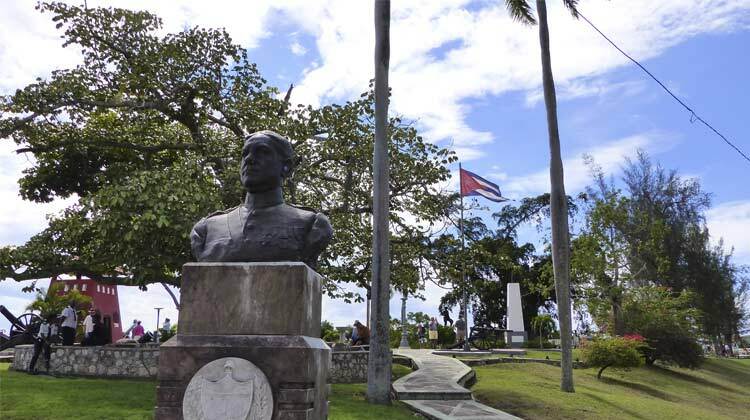 It is a must to watch as the ship enters this historic city, home to the greatest battle of the Spanish Cuban American War. 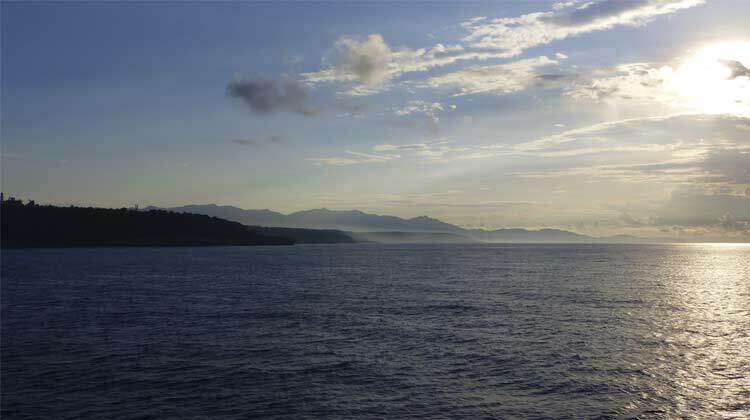 Being on deck at dawn and watching the sunrise as you prepare to enter the Bay of Santiago de Cuba will be a great reward. As we enter the bay, get your camera ready for great shots from both the port and starboard sides of the ship. Get on the top deck if you can so you can get views from both sides. Here’s the view from the port side of the ship as we first progress into the bay. 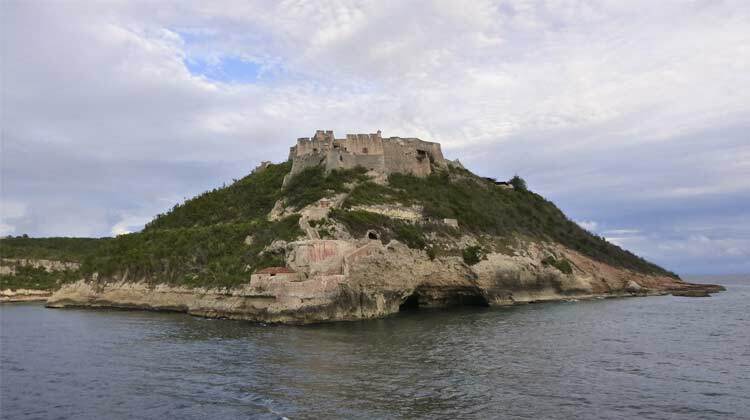 Once docked we will board our bus and head up to El Cobre which is about 15 miles northwest of the port. 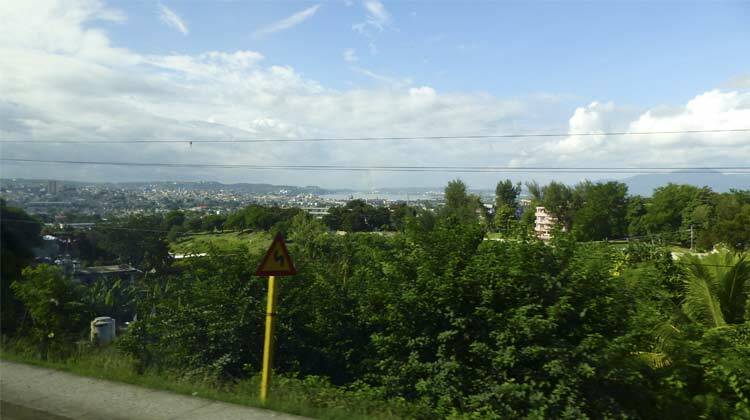 We will start out on Autopista 1, gaining altitude with each mile. Nice views of the port and bay looking back. Not much traffic at all on the way up to El Cobre, but it sure is fun to see it all. Here’s an American Ford on one side and a Russian Lada on the other, flanking a horse drawn carriage. Where else on earth could you see this? 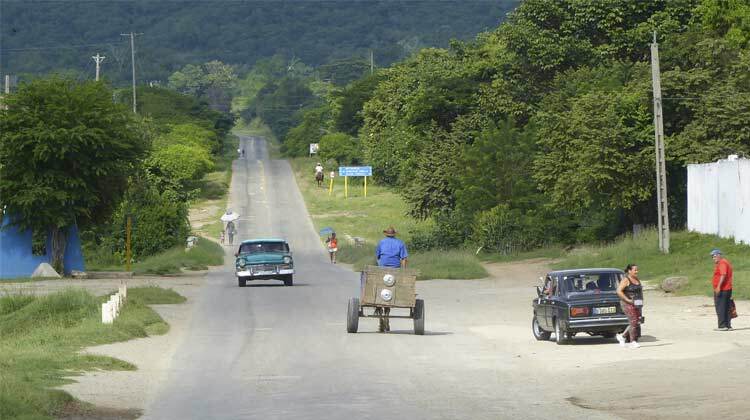 El Cobre is situated in the foothills of the Sierra Maestra mountain range. 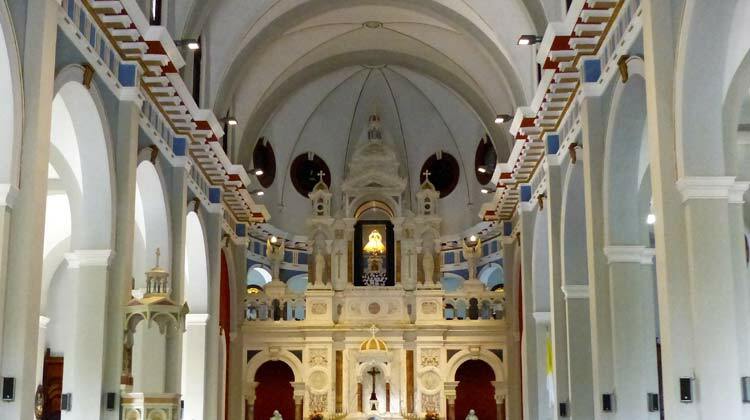 Soon the El Sanctuario de Nuestra Señora de la Caridad del Cobre (Our Lady of El Cobre Shrine), the triple domed church will come into view. 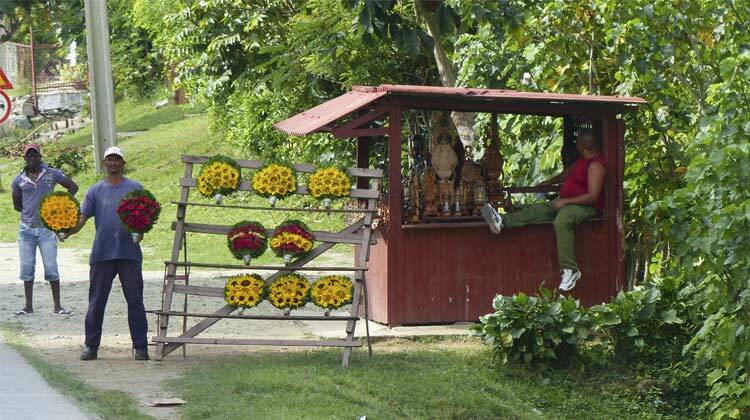 On the way up, numerous vendors sell flowers and statues honoring Our Lady of El Cobre. Our bus will take us up the final hill into the parking lot of the shrine for fantastic views all around. Here to the right of this 54 Ford you can see the remnants of the copper mine for which this village was named. The church itself is stunning and fully restored, be sure to take a walk around and if you wish, enter the Basilica, so many artifacts await you. 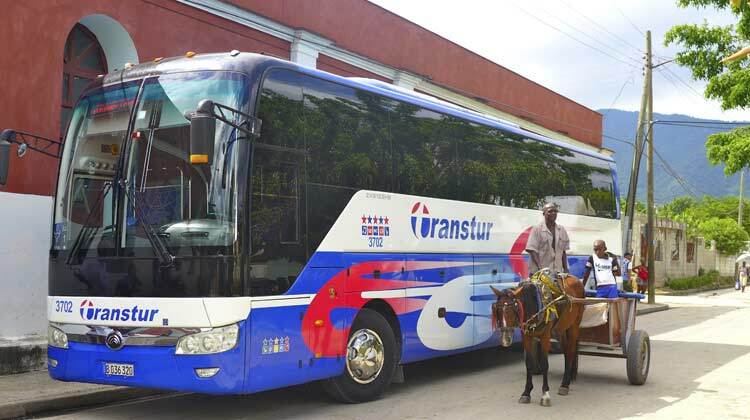 This is what makes the El Cobre Cuba Cruise Excursion such a memorable one. A bit of history before we go on. 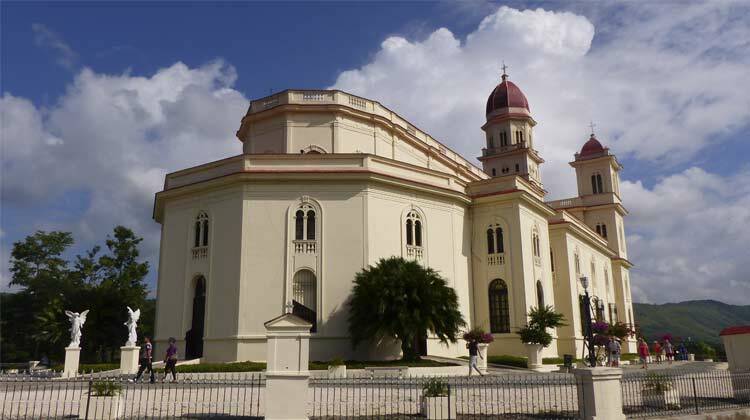 The Basilica houses the Virgen de la Caridad (Virgin of Charity), Cuba’s Patron Saint. As the story goes, in 1611, 3 fishermen in dire straits and about to capsize, rescued the wooden statue out of the churning waters. 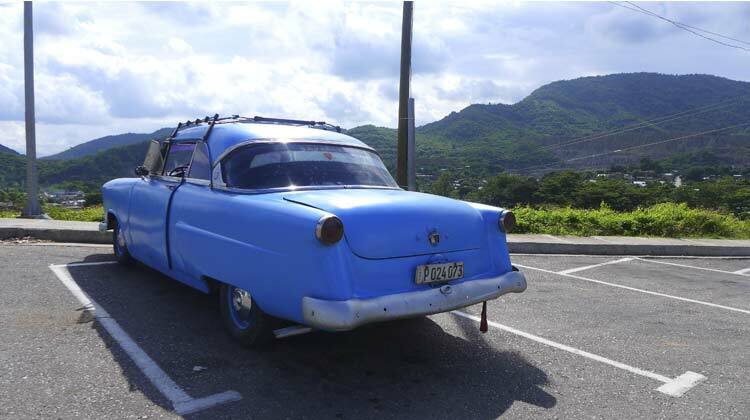 They made it to shore and the story of the miracle of the Patron Saint spread across Cuba. She now sits on the second floor encased in glass and is presented to the congregation only during mass. After our stay at the basilica, we will head back down to the town square for a chance to explore the area. Check out this ’54 Chevy with a Ferrari emblem on the front fender! Our entertainment has been setting up and starts to play as soon as we get there. 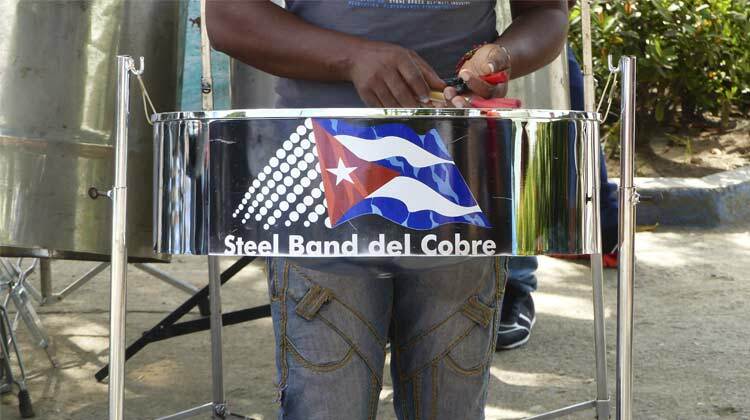 Known as the Steel Band del Cobre, we will experience a great take on Steel Drum music, Cuban-Style. 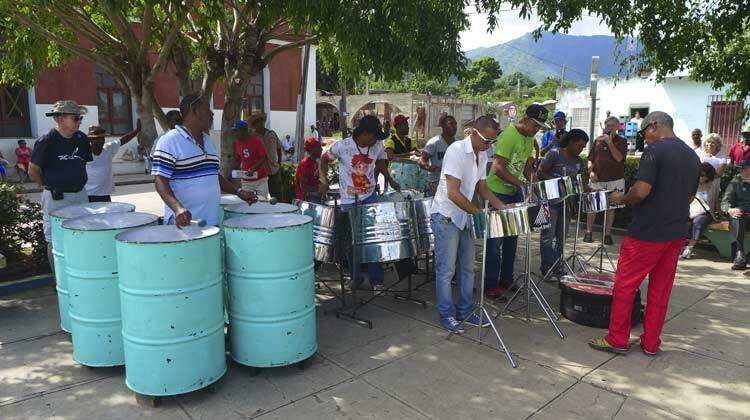 A full band indeed, perfectly syncopated following the lead of their conductor. This is a great treat for the local citizens too and the square begins to fill up with more and more people. 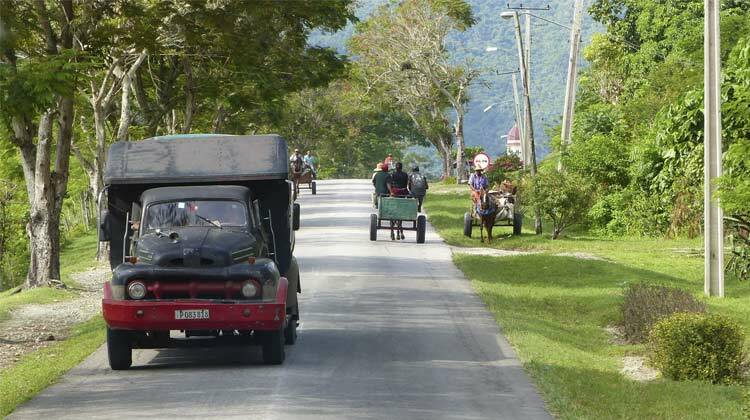 The Cruising to Cuba staff takes off for a walk around to meet the villagers and see what life is like to live here. Here’s another view of the Basilica from town. 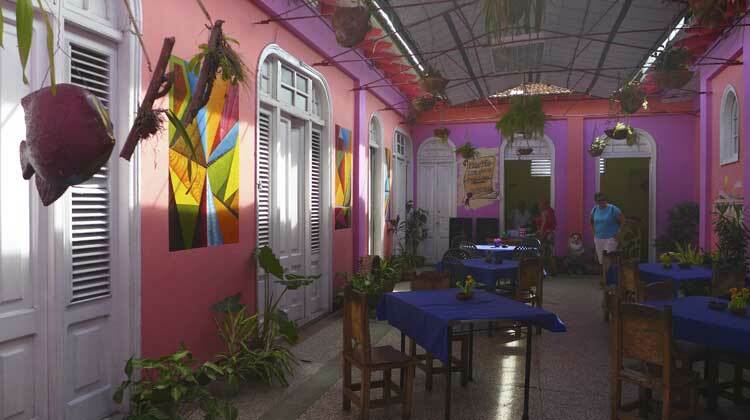 Now it’s time to head back to Santiago de Cuba for some lunch and beverages. This time we ate at a family run Paladare called Brassa. The food and variety was wonderful as was the conversation with the owner and his family. 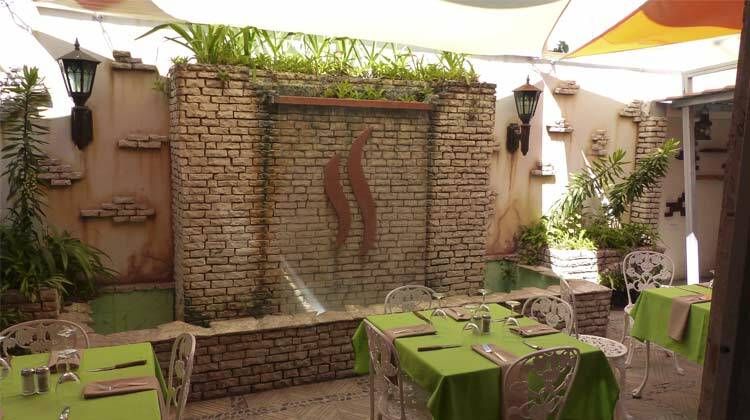 A beautiful and tranquil place to eat such lovingly prepared Cuban dishes. 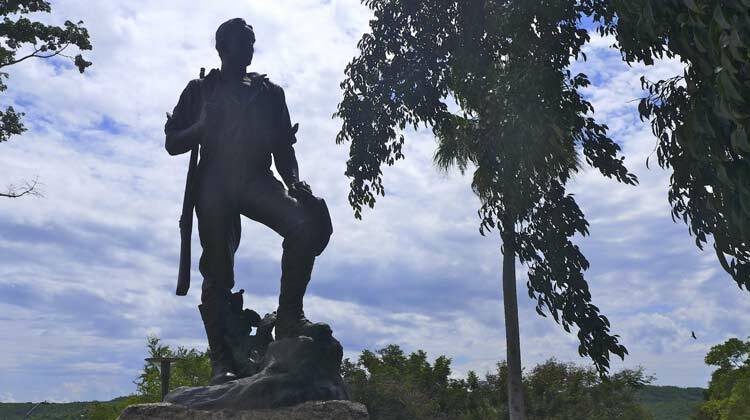 Next we head off to San Juan Heights where the Battle of San Juan Hill took place in 1898. Just being here and seeing how that battle took place is an emotional experience. Cannons and Statues abound on the relatively small hill. The Rough Riders and Theodore Roosevelt fought here, however most of the heaviest fighting was undertaken by the Buffalo Soldiers of the 24th Infantry and 10th Cavalry Regiments. 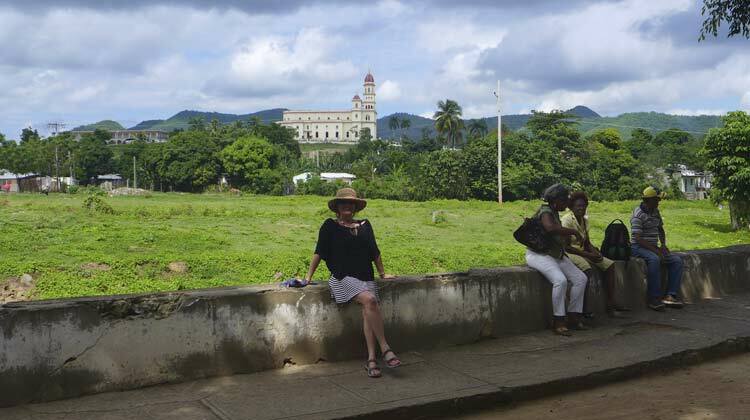 Now we leave and head into the town square in Santiago de Cuba. A lot of activity and traffic here, so be on your guard! Several of the buildings have been beautifully restored and the influx of so many Americans is a sight to see for the locals. If you have time for a Mojito, there are plenty of places to quench your thirst, just be sure to keep an eye on the time so you don’t miss your bus back to the ship!! 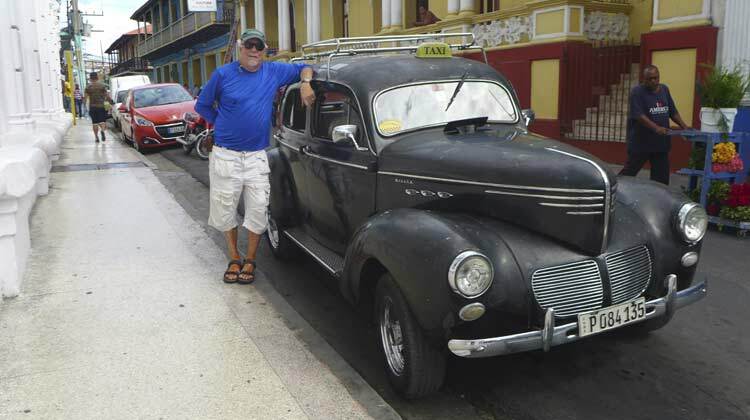 If you are a fan of old American cars, look for this 43 Willys, the only one in Cuba. It even has its original Flathead 4 motor! 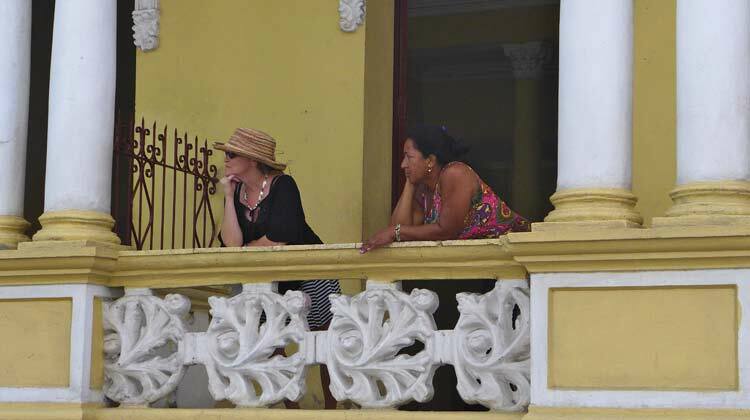 Some of the buildings are open to the public so take a stroll up the stairs to get an even better view of Santiago de Cuba. I know we could have stayed here for several days with so much to do and see, but alas back to the ship we go. 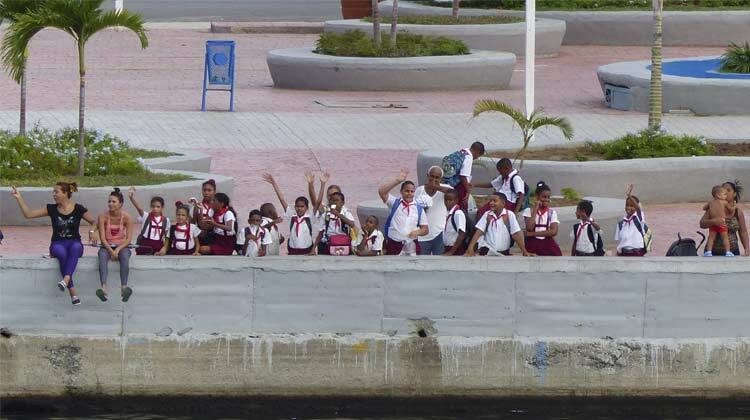 As always we are given a great send off, this time by this fun group of schoolchildren. 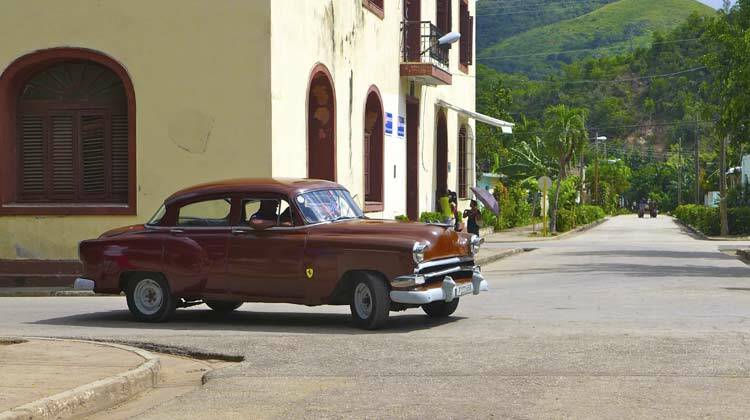 Whether you are Cruising to Cuba on board Royal Caribbean, Fathom, Oceania, Norwegian, Azamara, Viking or Carnival be sure to work an El Cobre Cuba Cruise Excursion into your plans!